I have been riding since I was 5 years old. Through out my junior career I have competed all the way up to the Grand Prix level. My mother is a professional also and I have been working for her as an assistant trainer. We have our own business in Bedford NY. I currently have 3 horses that I show in the A circuit. I have been showing in Wellington for the past 5 seasons and I show all over the North East. I have qualified for indoors for the past 5 seasons as well. I have experience not only in the show ring but in the barn working also. Two top 2 finishes in 1.50 $25,000 Grand Prixs, a second place finish in the 1.50 $30,000 Grand Prix. Two 8th place finishes in 1.55 $75,000 Grand Prixs in 2016. 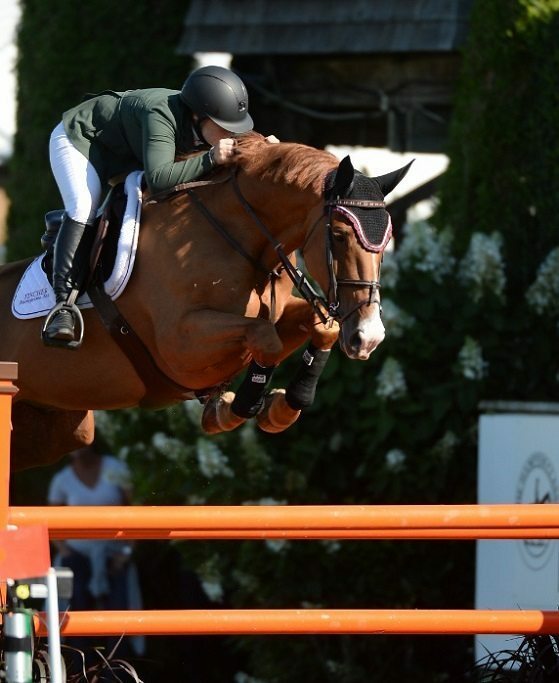 More recently at the Hampton Classic, a win in the $10,000 1.45 High Junior AO Welcome Derby out of 50, the $15,000 1.45 High Junior AO Classic out of 40 and the $10,000 1.35 Low Junior Classic out of 30. In September member of the Gold Medal team at the Junior Jumper Championships and Individual Bronze Medalist. Zone 2 high point rider for the low junior jumpers. The most important thing to know about me is that I love my horses more than anything! They are my life and heart and I value my relationships with them immensely.